Posts with tag: "White wedding cars, Mercedes limousine"
Check out our latest addition to our cars. 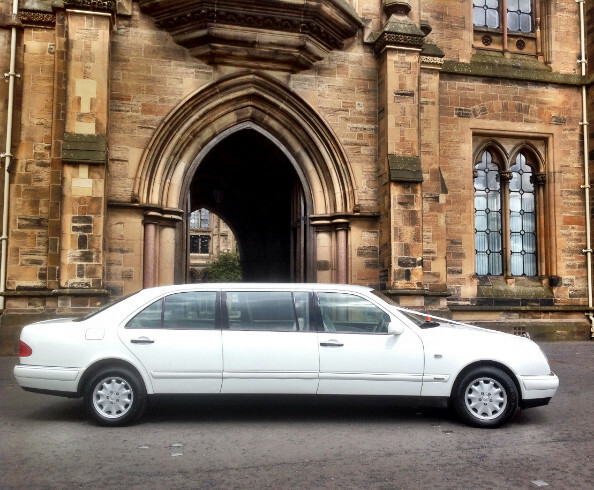 A fabulous white Mercedes 6/7 seat limousine with conference seating. We are taking bookings now and it is proving super popular. Call 01355 220 228 to check availability for your date.